Preparing the Professoriate is a nationally recognized program designed to give exceptional doctoral students and postdoctoral scholars an immersive mentoring, teaching, and future faculty preparation experience. 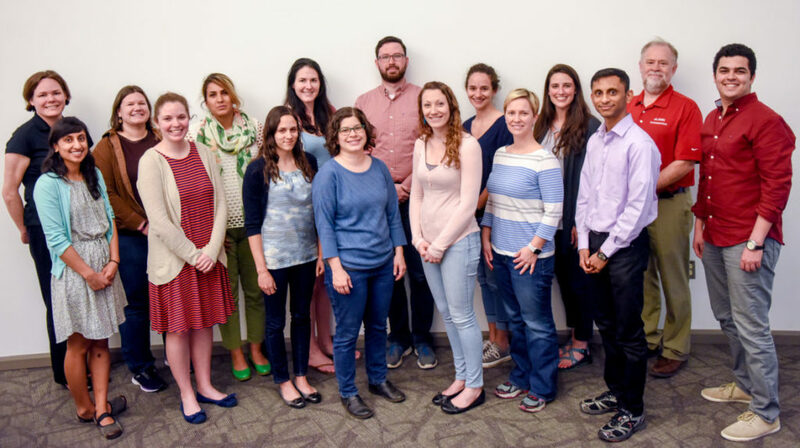 Established in 1993, PTP is a signature program in the Graduate School’s professional development initiative. It provides fellows with a hands-on teaching opportunity under the direction of a distinguished faculty mentor recognized for their teaching skills. The program is one of only two professional development programs that recognize successful fellows with a formal transcript notation as evidence of their hard work and achievement. Acceptance into this program is highly competitive. Every year, the selection committee makes tough decisions to select the new fellows. The program is one year long, consisting of two major components: regular workshop meetings and the mentoring relationship with your faculty member. Fellows also teach with their mentor, complete a peer observation, and refine their academic job market materials. At the conclusion of the program, each fellow completes a portfolio detailing his or her work and reflections from participating in the program. * Participation in the program also serves as one method to fulfill the mentored teaching experience requirement for NC State GAANN fellows.